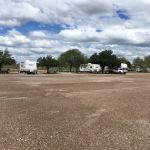 Ask fellow campers about "Double M RV" and nearby attractions. Without a doubt this is the best RV Park. The owners are extremely friendly and helpful. They have a community building that has a bathroom with a shower. They have two washers and dryers. In that community building there is also a full kitchen that you may use. Two televisions are available to use and there are plenty of seats and tables too. We stayed here because we were running from Hurricane Harvey and could not have found a better place to stay. Whether running from a hurricane or not, stay here, you will love it! Run by a couple. Great people! 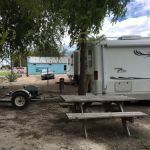 We camped at Double M RV in a Motorhome. One of the best DQ's we've been to in Texas. Also the local fare at Liberty Cafe and Dusty Boots are well worth trying. Home cooked food for a great price that won't break your pocketbook. An older park with gravel sites, some concrete pads, some pull-throughs. 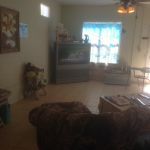 Clean clubhouse, laundry facilities. Owner/managers very friendly and helpful. We were told this park hosts many "Winter Texans", most returning north in late March or April. Located approximately 100 miles south of San Antonio and west of Corpus Christi a little less. We were only staying overnight, so do not know of local amenities. 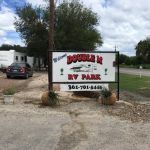 We camped at Double M RV in a Motorhome. Are you affiliated with Double M RV ?